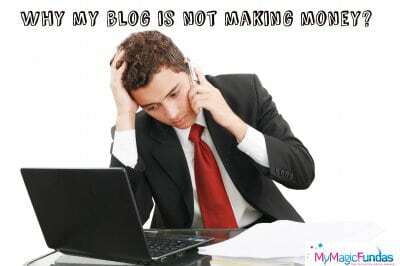 This is a nice guest post on the topic “Why your blog is not making any money?” from a passionate blogger, owner of Bloggerspassion.com Yes, Anil Agarwal has contributed this valuable post for my beloved readers. I’d say that his blog is a treasure house of esteemed information, and I’m a regular reader of it. He is a well-known blogger with immense blogging & marketing skills, here is the guest post from him. Hi Everyone, this is Anil Agarwal! I don’t think making money blogging is as easy as it sounds. If you want to make passive income from blogging, you need to create a sales funnel. Without having a sales funnel (the funnel that helps you turn your visitors into customers), you will rarely make a good income online. Forget about Google AdSense; the days are gone where you can write tons of posts to bring more traffic to get more clicks to make more money. Google became smart, online readers became smart, they know what is an ad and what is content. Most online people don’t simply click on ads, so you won’t make much income if you focus more on making money from banner ads or Google ads. Most online people don’t simply click on ads, so you won’t make much income if you focus more on making money from banner ads or Google ads. So what’s the best way to make money blogging in 2017? And what are the reasons that most blogs are not making money online? Let’s figure it out in this post. Why Your Blog/Site Is Not Making Money? Here I’m going to share few strong reasons why your blog is not making any money and some of my tips on what can you do to improve your chances of making money blogging. Let’s jump into the details without much ado. Sales funnel is what helps you make more money online. Without having one, you will miserably fail to grab others attention to help them make money for you. Without a sales funnel, you are wasting precious time on creating content and promoting it. You may ask, what does it mean by a sales funnel and how to create one. Let me explain it to you in simple terms. A sales funnel is a funnel that helps you turn your normal visitors into subscribers into repeating buyers. Having a good sales funnel helps you make passive income. That means, you don’t have to worry much about making money by working more. Once the sales funnel is set up, you just relax and watch the sales going up. But you have to create a great sales funnel that helps you make passive income and here’s how to create a great sales funnel for your blogs and websites. Create specific content (don’t write everything under the sun). Provide solutions to your visitor’s problems. Create a product or promote a product that solves your audience needs (this helps you make money). Here’s an excellent resource on how to create a great sales funnel. Without knowing who you are writing for, it’s a waste of time to write posts each and every day. You need first to define your target audience before earning money with your blog. Why? It is where you will know the top ways to make money from your traffic sources. If you don’t know your potential readers and visitors, you will depend on random money making sources like Google Adsense, banner ads, product reviews, etc. I don’t say the above-mentioned money making sources are bad to make money blogging, but you need to figure out best ways to make more money with less traffic and efforts. That’s why it’s essential to define your target audience. Here’s how to define your target audience. Finally, create content that suits your audience needs, this is how your will build loyal readers that help you make more money from your blogging efforts. Marketing is the key. A Marketer is different, and a blogger is different. Most bloggers don’t make any money online because they are bloggers (aka writers), not marketers. Only marketers know how to utilize their skills to create and promote their stuff to increase sales. Without right promotion, your blog goes nowhere. So focus on learning on how to sell stuff online. Without that, you won’t make more money from online sources. Making money online and building a profitable business is all about branding. How you brand defines your revenue and I’m not joking. Observe any company or product, Google, Amazon, Apple, etc. every product that uses online to sell their stuff have proper branding. Would you ever buy something online from unknown sources? This is the reason why you need to build a brand around your blogs. Branding creates trust. Only those people buy from you who trust you. So improve your trust rate by improving your branding. Create a user-friendly design for your websites, hire a logo designer to design your website’s logo, make your site loading time faster and use essential WordPress plugins to boost your search rankings. Making money blogging takes time. Observe any successful blogger who is earning money online, they all took lots of time to monetize their sites. Because they all know, once they have a good readership, money comes in automatically. You have to remember this, don’t blog for 2 to 3 months and hope for making money online. It just doesn’t work. You need to put at least six months of consistent efforts into blogging before making money. On a serious note, most blogs don’t make money in their first year. They will only start making once they go through their first year of blogging. The reasons is mainly most new bloggers don’t know how money works online. So, the more time and efforts you put online, the more you will know how to make money blogging. So be patient, work hard and you will reap the rewards. Making money blogging is not a tedious job if you know how to convince people to buy. If you focus on building loyal readers, develop a strong brand around your blogging network, connect with other influential bloggers and create a solid sales funnel around your blogs, you will start noticing the results. Let me know your blogging experiences on making money so far. If you have any valid reason for why a blog is not making any money in 2017, please share it through your comment. Very Nice Anil Agarwal! This one is very nice post about Why Blog Is Not Making Any Money in 2014. Blogging is going very down now a days & this one is also a big reason for “Why Blogging Is Not Making Any Money” ! I’m also agree with another reasons like didn’t target audience, Blogger don’t have impatient & don’t have a brand etc ! I thumps up for these big & treu reasons for Why Blog Is Not Making Any Money in 2014! Monika seriously I don’t think blogging is going down these days. More and more blogs are being created every second these days and no doubt making money from blogging has become hard due to the increased competition. But bloggers who have the patience and can continue working on their blogs for first year with passion are able to make good amount of money from their blogs. As Anil told, blogging is not going down these days as we to see lot of new blogs are being created by the bloggers and newbies. If they have writing and internet marketing skills, they could withstand in the Blogosphere and make money with blog. Very well written article! I agree with all five reasons, to be an online marketer is one most reliable way to make money online for a long time. and Sales funnel are really best choice that helps a lot in making handsome income. One need to be a great blogger along with a marketer to gain maximum success from their skills. And if you don’t have good blogging skills, hire a professional blogger. Thanks for coming by and leaving your thoughts, keep doing it! That’s true Rahul. Lack of patience is the reason due to which lots of bloggers leave their blogs for dying within 6 months. Mos to of them start their blog with the intention to become rich overnight and that does not happen. Patience is essential for every blogger and yes many bloggers quit blogging after few months from the start as they failed to make income from their blog. Directly or indirectly we all bloggers get into blogging for in the aim of making money. It may be passive-money or making a living out of it, but everyone wants to make more and more money. Monetization actually comes at the last block of blogging. First one needs to devote time and hardwork build a brand and make money out of it. Surely making money is one of the main reasons due to which lots of bloggers start their blogs. For me as well, making money was on my mind when I started working on BloggersPassion.com blog. 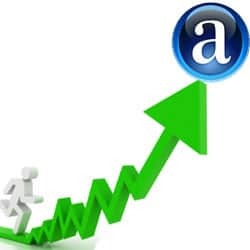 Yes, after increasing the brand awareness, one could earn more money with blog. Thanks for sharing your nice thoughts, keep coming. Thank you very much for this informative article, I am the big fan of BloggersPassion.com, This article will really helpful for every newbie bloggers struggling in their blog journey. I really impressed with that last point. Blogging takes some time for make money online, Patience is really very important thing in blogging. Welcome to my blog and glad to know that are regular at Bloggerspassion.com. Cheers you have found this post useful, keep leaving your comments here. I’ts really great to see your article on mymagicfundas. The ideas you shared about – Why Blog Is Not Making Any Money in 2014 is awesome. In this post i noticed a special thing that you have covered all the needed points, which are completely different from the articles shared by other Blogger’s. You’re most welcome Amit, thanks for reading this guest post. Yeah, this post is nice and unique, well-written by Anil. I feel blessed to get guest post from great bloggers like Atish, Kulwant and now Anil. Thanks for commenting, stay tuned! Great feeling to connect with you here Parthiban. No doubt it takes some time for us to start making money from our blogging efforts. Marketing is the important key to success in any field, so as the Digital world that is why Digi-marketing is so famous now a days. Thumps up to this great posts. You and Anil are very exact. A blogger should possess immense marketing skills to thrive in blogging. As Anil specified, I came across some bloggers who are great writers but poor in marketing their fabulous content. Great resource you add on in your explanation regarding not being successful in making money in blogging. The solution is really helpful and meaningful. Yes, Anil’s post is really helpful to make money with blog. Stay tuned! Really nice to see you out here. Loved all of your posts on BloggersPassion and here too. Though, many noobs get into blogging for making money, most of them fail to make it. Even I didn’t earned more than 10$ in my blogging life. Thanks for your influential and help-ful tips. Put your smart work Sayantan, you could earn more than $100 per month. Just write helpful content and be active in social media to market your brand. You identified the reasons correctly. Especially, not knowing the target audience is the ultimate folly among Indian bloggers who are looking to make money out of their blogs. I think bloggers in India are very poor readers resulting in not getting good exposure to the blogosphere. In addition, people are tightfisted when it comes to enhancing their skill. This is one of the reasons that they don’t see money by blogging. Thanks for leaving your comment by sharing your views on make money with blogging. Yes, targeting audience is most important to earn with a blog and it could be done by doing keyword research. Thanks for this great article, It’s really helpful for readers. I take much times to develop my blog design, so i think simple and easily navigated blog Layout is better for a beginners. Also blog branding is another helpful way And creative logo is memorable to blog readers. appreciate your efforts and I will be waiting for your next post . That’s true. Blog design is very important. We should a great logo for our blog and we should have unique tag line for our blog as well. Awesome post mate, I guess you are right about each and every points listed out the post and the most important and common thing is impatience which we should control to get success. Thanks for commenting Hitasoft. I’m delighted that you’re agreeing the points of guest blogger, keep showing your presence here! You have posted such a informative article. Its very important for all the bloggers. I am not a blogger , but i like read every day a new article and commenting on these article. I think through this your article all bloggers learn something new and get lot of experience. this one is a Wonderful post. A blogger who has good amount of patience and good marketing skills can successfully make money online. Nice to see you here ! actually i’m following your blog from long time . you always write amazing guide , but after read this post i can say this i another great post again written by you. Nirmala didi had also shared many tips & tricks related to make money from blog. so, this is another part of that guide. Thanks a lot for following my blog. And I would like to thank Nirmala for giving me the opportunity for write guest post for her esteemed blog. Thanks Nirmala for publishing a wonderful post of a very promising blogger and he really deliver big value in it. The first reason is enough to clear the point why more than many bloggers fail to earn money. They open a shop but don’t have confidence either they will sell or not. They become passive seller to wait for someone who insists to buy from them. Other reasons are equally valid but the most important one is having no sales funnel. What the injustice is that because of no understanding of money blogging many people unabashedly declare now it is not possible to earn money with blogging. IT is not the profession but the members of that profession who are not making money. Thanks a lot Anil for writing on such an important topic in this time of blogging uncertainty where many bloggers are much confused about the earning potential of blogging. But this post will surely clear their confusion a lot. Good to know you guys are finding my guest post. useful. With blogging, we should not expect earning much in the early stages. But as the popularity of our blog increase, we should seeing some money making opportunities. Awesome Post.Yeah this post is unique and nice. If you focus on building loyal readers, develop a strong brand around your blogging network, connect with other influential bloggers and create a solid sales funnel around your blogs, you will start noticing the results. I agree with your thoughts and yes, network with influential bloggers would really help a blog to move on to next level and make money with it. Impatience repels money Anil. Thanks for the tips! Well said Ryan, yes you’re exact. Thanks for being regular, keep visiting my blog to leave your valuable thoughts. Before people use to blog for passion and interest but as they came to know about the fact that blog can give us money from online source, there is huge increased in the blogs and now a days there are many blogs comes up with the blog but all don’t get successful because of the reason mention above in the article. I completely agree with your tips Anil. Thanks for coming by Unaiza, stay tuned to grab more helpful information. Impatient is the biggest flow for a blogger, it takes time to earn money in blogging but due to those creepy ads displaying earn thousands of $$. People get an idea that they can start earning thousands of dollars from the first day.! Thanks Agarval for this great post. I must say that ignorance of what blogging is all about, and impatience which is also a product of ignorance is the major reasons why too many bloggers will never make money. Helpful tips you got here. I figured I actually have a couple of those flaws noted above which contributes as to why my blog hasn’t been getting much attention. Time to set things right. Thank you so much for posting this! I feel happy that you found this guest post as helpful to correct your mistakes, stay tuned! Like I said every time that, a blog never makes money until it treated like a business. To make money from blogging you need to be a business man first more than a blogger! There is no point in publishing a bad content on your blog. You should come with good content ideas for your blog. If you cannot do quality posts every day on your blog, aim at doing 2-3 quality posts every week. With the kind of updates Google is coming up with, its the quality content which will ultimately win. If we create poor contents, then it would spoil our reputation and we might be losing readers with it. So as Anil told, spending time to bring quality posts (Even 1 in a week) is more essential for bloggers. Thanks for coming by. Thanks for sharing such a great blog.I do agree with all the above point of yours,specially with the point where you said about target audience. To target a specific zone of people is very essential in blogging. Good and descriptive post. A though from my side – Making money is a primary function of Traffic and nothing like organic traffic flowing in on 2-3 key words. 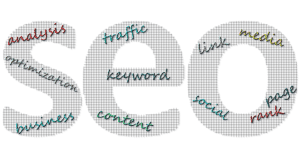 Focus on seo for a blog, can help it rank, which in turn can bring organic traffic with least degree of bouncing, as each vistors comes with a query. Really great tips for breaking an myth regarding make money online. i’m compeletly satisfied with @harishbali i.e focus on seo rather than monetization. Hi Anil, Thanks for pointing out the reasons for not making money from blogging. I am newbie blogger and I will keep in mind all your points to be a successful blogger in near future. Salute Anil Great Post ever Your Niche Keep More posting It help me. Blogging sounds like a hobby for people with too much time on their hands and too many opinions. Can you really earn an income from blogging? The fact is that a lot of people are getting extra cash from writing blog posts. How do they do it? Blogs can easily be monetize using advertising or including hoplinks to ClickBank information products, but if you set out with the sole intention of making money from your blog, you won’t get far. Your readers will sense you’re not really committed to the topic, and without the trust of your blogging audience you won’t make any money. Making money from blog isn’t hard if you study the market well. Targeting the right audience and promoting the products that can solve their issues can easily make good number of sales for us. Building relations with readers and earning their trust is also the biggest factor why bloggers don’t earn from their blogs. Thanks for your great suggestions, Anil. I have read your article, it is very nice and helpful for write a blog for me.I always read articles related to SEO and your articles always helpful for me.Nirmala Santhakumar , Ankit Singla and you are my favourite bloggers. yours article writing skills is too good. Once again Great Post and Prove your ability to be a successfull blogger In the world.